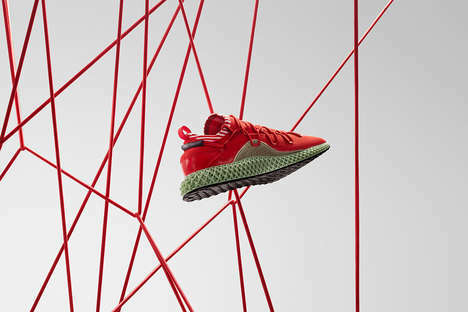 The February 2019 shoe trends gather concepts from wearable brands of different ranges, covering athletic footwear, luxury fashion footwear, casual footwear, and more. The expansive list of shoe ideas highlights branded designs, environmentally friendly construction, and sustainability overall. A great idea comes from luxury fashion house Maison Margiela — its iconic split-toe design entitled ‘Tabi’ returns on a wider selection of footwear models. The label re-creates some of its existing footwear models with the split-toe, including sneakers, loafers, boots, and more. Another great concept this month is created by Hence, Crep Protect. It introduced the ‘Mark On Midsole Pen’ that is a portable product used to clean and restore shoes when necessary. It can also be utilized to create personal design preferences by drawing custom images on footwear.